Another time and labor saving attachment from DPM! 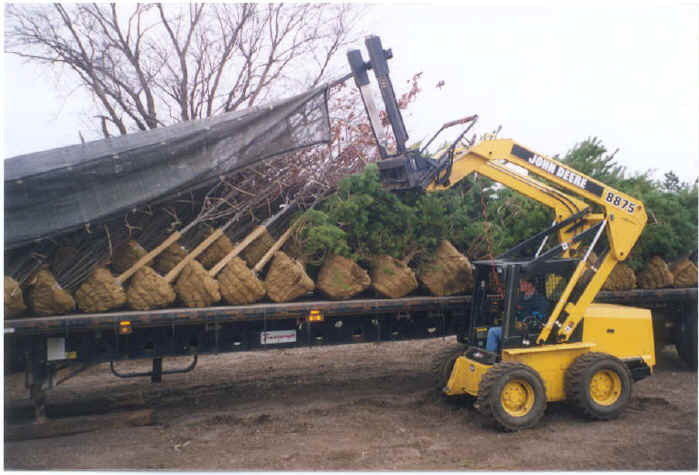 The DPM TarPuller is the perfect partner for a Nursery Jaws® after loading a truck. 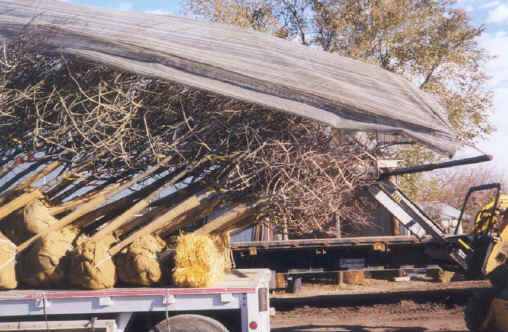 Configured to fit a Nursery Jaws® or pallet forks, the TarPuller allows you to tarp a truck or trailer in minimal time and with minimal risk to your employees and tree stock. 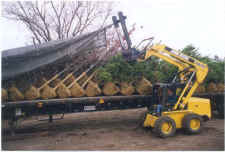 Built with a telescoping boom, the TarPuller can be easily transported to tarp trucks in any location. Now, you can pull tarps and get your material on the road in record time with less labor. 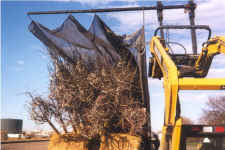 Make the Tarpuller a durable and economical addition to your operation. "The TarPuller combined with the Nursery Jaws® has become a great tool for my business. It is easy for me to move to different locations and is just plain necessary to tarp trucks, especially in windy conditions. I have been extremely happy with every product I have bought from DPM. They have service after the sale that is unmatched across the country. I really believe every nursery should have a Nursery Jaws® and a TarPuller or they are wasting money." © 2005-2015 <DPM, Inc> All Rights Reserved.